Upwave is designed for collaboration and works best when you are not on your own. There are many ways to invite new members, and it only takes a couple of seconds! By clicking your profile picture in the bottom left corner, you will get a menu where you can choose "Add people" . 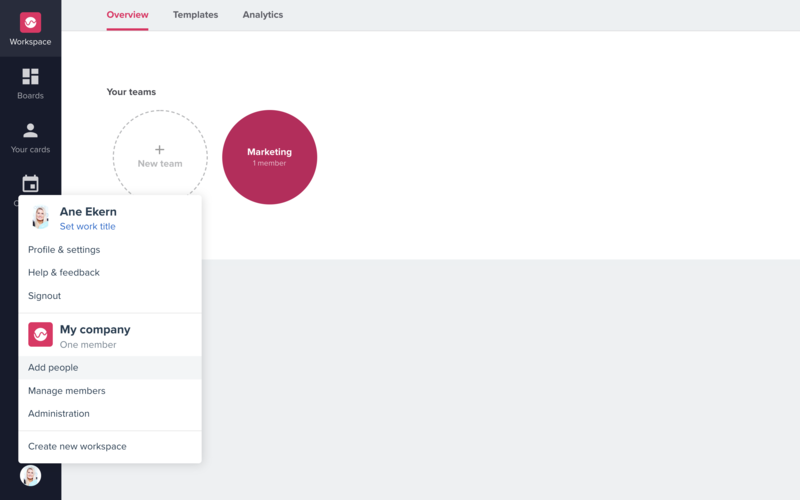 When you click on "administration" in the side menu, it takes you to the workspace admin page. 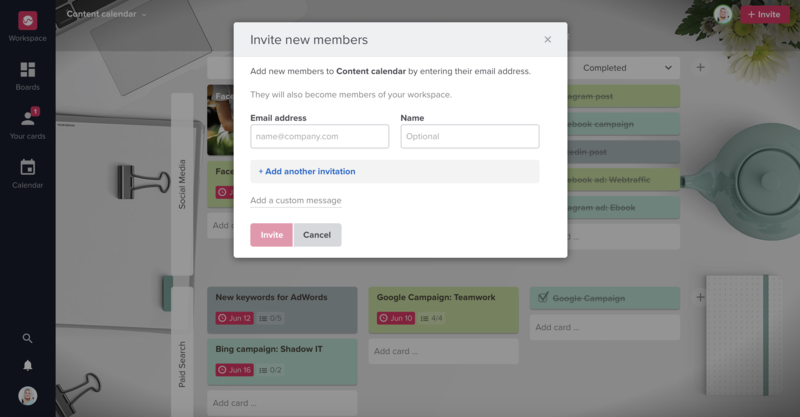 Here you can click on "users" to invite new people to your workspace. 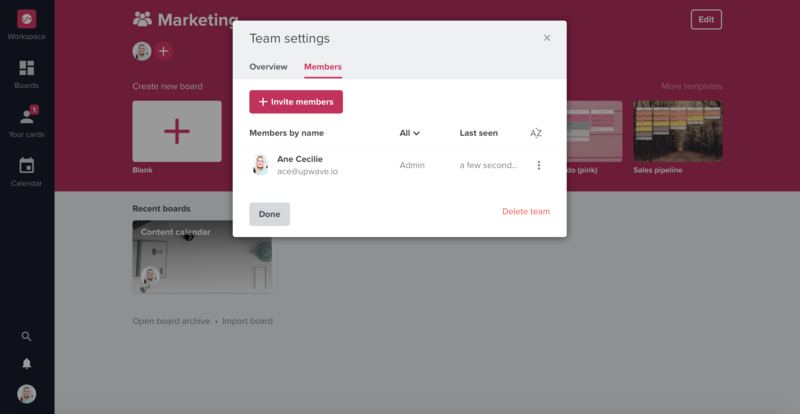 If you want to invite a new member to a specific team, click on edit in the top right corner, choose members and then click "invite members". You can also click the "+"-symbol under the team name. When you are inside a board, you can click the "Invite"-button in the top right corner to invite new members to that board. NB: When you invite a new member to a board, they will automatically become a member of your workspace and the team the board is located in. They will however, only be able to see teams they are invited to or teams that are workspace visible.